A Reliable Fleet of Tanker Trucks Ready to Serve You in Phoenix, AZ! The process of transporting asphalt isn’t as simple as loading asphalt into a truck and driving it to your worksite. As a petroleum product, asphalt can be very volatile. This means that depending on the makeup of the aggregate, there may be several steps in the process of refining, mixing, and preparing the raw materials to be laid on a road or other surface. At Cactus Transport by Cactus Asphalt in Phoenix, AZ, we’re veterans in the asphalt industry with years of experience under our belts. You can trust our skilled and knowledgeable team when it comes to transporting liquid asphalt and other raw materials in a timely manner. We have more than 30 years of experience providing top-notch service to customers in the Southwest, and we know how helpful it is to have a partner in an asphalt paving and construction project. For more information on how we can offer specialized tanker transport to and from your job, call today. 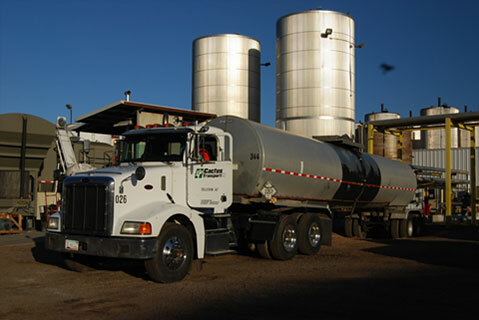 At Cactus Transport, we know exactly how to transport different varieties of asphalt from the refinery to your worksite. We understand the specialized treatment that different asphalt compositions require. We’ll make sure that when the asphalt reaches your worksite, it’s in the condition you need it to be for ideal functionality and application. Whether the raw material we’re transporting requires careful handling, precise temperature, or specialized safety precautions, our expert drivers and custom vessels are designed to help you get the job done right. At Cactus Transport by Cactus Asphalt, customer satisfaction is how we measure our business. If you’re satisfied, it means your clients are satisfied, and that means we did our job well. We maintain open communication with you from your initial order to the time your materials are delivered and beyond. This gives you a chance to customize your order to adapt to the changing needs of the job. Another way we’ve established ourselves as a dependable partner in the asphalt transport industry is by maintaining quality control when it comes to our drivers. Each of our drivers must pass a mandatory driver’s safety test before getting behind the wheel. In addition, all Cactus Transport employees are subject to pre-employment and random drug testing. Working with an experienced team that stays in communication throughout the transport process is the only way to eliminate error in a process that demands perfection. 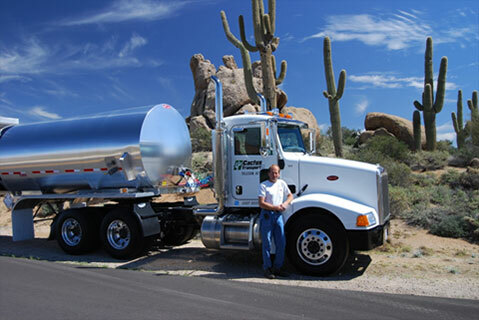 We offer customized tanker transport at a competitive price in Phoenix, AZ, and the Southwest. Call to get started at (602) 616-5088! It's our promise to you to secure the results you want, with the resources to make it happen. We'll be here every step of the way to keep you happy and coming back, year after year. © 2017 Cactus Asphalt. All Rights Reserved.